At NGAP, we always like to relate good news (for us!) as it relates to the greyhound racing industry. From time to time I will look through the pages of The Greyhound Review, which is a monthly magazine published by the National Greyhound Association. It contains many articles and information about racing greyhounds - dogs available for stud, award recipients, deaths, etc. 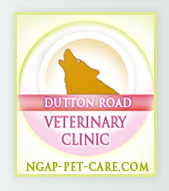 I looked at the stats page and read that in 2011 there were 11,759 individual registrations and 2,007 litters. I then referred back to a magazine I had from 2005. The individual registrations for that year were 26,262 and 4,977 litters. So, the really good news is that there is a smaller number of greyhounds being exploited each year, giving the adoption community a better chance to adopt all of these wonderful dogs. This trend will most likely continue, especially if and when the state of Florida eliminates the requirement for tracks to have live racing in order to have other forms of gambling. 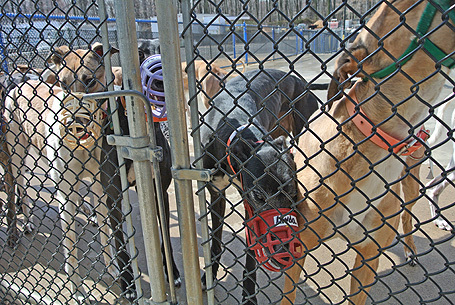 Florida's tracks lose money on greyhound racing. The racing is actually subsidized by high stakes card playing, Two of the tracks, Flagler and Hollywood (formerly Mardis Gras), have slot machines which also subsidize greyhound racing. 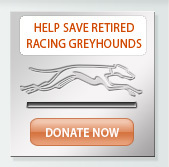 Advocates like Grey2K plan to join track owners to help end live greyhound racing at parks. This legislation almost passed last year, but they couldn't quite get there this year. Attempts will most likely be made again in 2014. If legislation is passed, those 11,759 individual registrations per year may well be cut in half. There are now only 22 functioning tracks in the United States - 12 being in Florida. Slowly but surely the adoption community is winning! 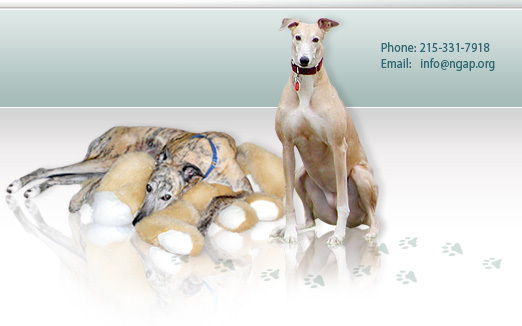 It is our hope that someday, all racing greyhounds will be adopted.